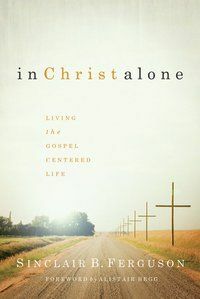 In the book “In Christ Alone” Sinclair Ferguson examines the character of Christ and what it means to live a gospel centred life. The book is made up of 50 short chapters of a few pages each. While the chapters are short, a lot of solid theology is packed into them. It has a good balance of knowledge and application. If I was reading it again (which I probably will), I’d read just a chapter per sitting to better ponder on the truths it contains. There were a few chapters that particularly stood out. Having just been studying the challenging book of Hebrews, I found the couple of chapters dealing with Hebrews particularly helpful. I also appreciated the elaboration on the nature of discernment in chapter 35. There were a few minor theological points I disagreed with but those were nowhere near significant enough to detract from a great book. You might want to consider using this book as a daily devotional. This book would be ideal for people how have been Christians for a while needing a reminder of the glory and centrality of Christ. It might be a little on the heavy side for some newer Christians.